Since the start of 2016, there has been a proliferation of downbeat prognoses about the dire state of China's economy in the Western media. 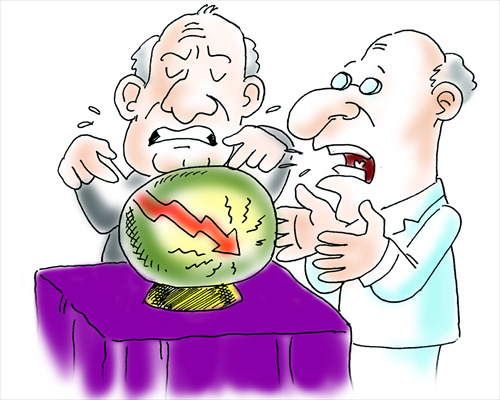 Respected organs such as The Economist and The Wall Street Journal have opined that it is a question not of if but when China's economy will suffer a sharp downturn. The Wall Street Journal gives China five more years before everything collapses. The Economist states that Beijing has mismanaged the Chinese economy, in particular by seeking to control its currency the yuan (RMB) for too long. To add to these pessimistic prognostications, investment bank Goldman Sachs has advised its clients to abandon the sinking Chinese ship and get their money safely out. It goes so far as to claim that "China risks an unsustainable increase in its debt-to-GDP ratio, which could push the country past the tipping point into economic and, in all likelihood, political instability." Elsewhere, influential pundits such as George Soros have placed the blame for global economic woes squarely on Beijing's shoulders. Soros, in a Bloomberg Business interview direct from Davos, Switzerland, where the World Economic Forum is staging its annual meeting, states that China is already in the middle of a "hard landing" and that things are only going to get worse. The difference between the financial crisis of 2008 and today's emerging problems, according to Soros, is that in 2008 Western financial institutions were to blame, due to submerging themselves in dodgy debt, particularly US subprime mortgages. This time, however, it is the fault of the Chinese government, which has let public debt balloon out of control and created a bubble economy that is soon due to deflate. Soros is right that the 2008 crisis was due to flaws in the structures of Western economies and financial institutions. What he does not take account of is in the years since the subprime meltdown those flaws have not been fixed. Like over-burdened pack animals, developed countries such as Japan and the US are still limping along with ever-growing mountains of unsustainable debt on their backs and minimal or zero growth. Large amounts of cash have been injected in order to keep these laboring beasts alive. So how has the global economy managed to keep staggering along these last few years? For the most part, on the back of Chinese, export-led growth. But instead of being grateful for the ride, now that Chinese growth is slowing, as it inevitably must, Westerners point their fingers to say, "It's all your fault, nothing to do with us." In essence, it is Western capitalist economics that have put the world where it is today. But instead of accepting responsibility for the mess, Westerners seek to pass the blame onto China. Of course, China has its problems, and they are serious ones. China has severe industrial over-capacity, a housing bubble, excessive debt, over-reliance on exports, and so on. But the Chinese government knows all this full well, and has therefore been seeking to transform the economy for the last several years. It is trying to do this by switching to a more services-based model domestically and developing overseas initiatives such as the "One Belt, One Road" initiative and the Asian Infrastructure Investment Bank (AIIB) in order to generate productive work for Chinese companies that will also stimulate other economies, especially untapped developing ones. The necessary transformation of the Chinese economy is going to be very difficult to achieve because of its immense size. This does not mean that it is automatically going to fail or that Chinese leaders do not understand how to accomplish it. It means that there are inevitably going to be mistakes made on the way and a lot of major bumps on the road. So why are so many Western pundits and media outlets so intent on talking China down? Precisely because, although they are right that China is facing some serious problems and is highly likely to go through hard times at some point in the next few years (as all developing economies inevitably do at some point), it is in their interest to pin responsibility for any coming slowdown, which the law of economic gravity suggests must come sooner or later, on China rather than themselves.